A walk though the John William Hall Arboretum. The opening of a new display area at the Thames Museum. John Fields photographic display at the Bella Street Pumphouse. The opening of a working Stamper Battery at the Goldmine Experience (Hauraki Prospectors Association). While the "Growing with Gold" Photo display continues at the Treasury. Special Church Service at St George's Church. Antony Peebles Concert at the St George's Church. Check out the full details at the Heritage Thames website. A special highlight of the weekend is the launch of two new Thames books - SATURDAY 5 August 2017. The COMER FAMILY A FAMILY WITH A HEART OF GOLD is released tomorrow, Saturday 5 August 2017. The book will be on sale at the Thames School of Mines, the event runs from 10am to 3pm. 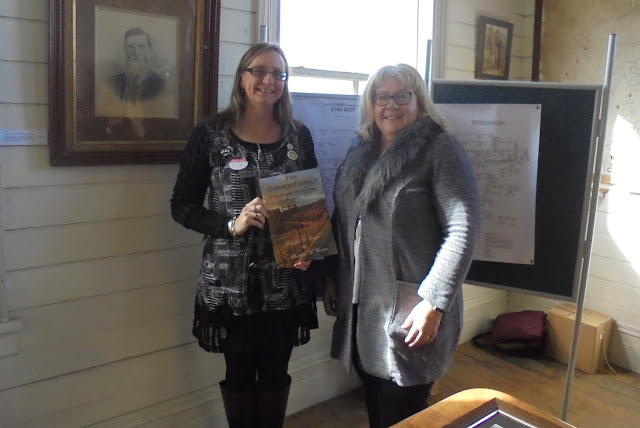 The Comer family invite anyone interested to attend the day and view the book, and meet the Comer descendants. The book (limited number available) will sell for $40. Be quick or you may miss out. The next book launch happens at the Thames Museum in Cochrane Street later in the day. 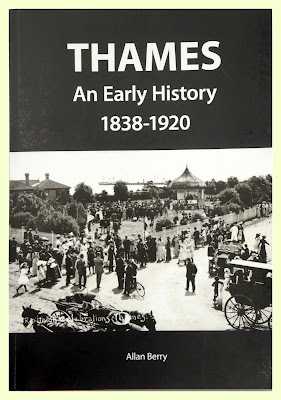 The Museum's new displays open at 1.30pm, and will be followed by the launch of Allan Berry's new book THAMES AN EARLY HISTORY 1838-1920. The cost will be $50 - drop into the museum to check it out and view the new displays.